Supply Chain Matters has readership representing a broad range of supply chain functional and operational disciplines including planning, procurement and product management. For those readers who are involved in conducting or participating in your organization’s Sales and Operations Planning (S&OP), we would like to call attention to an upcoming conference you might want to consider attending. The IE Group is conducting its S&OP Innovation Summit in Boston on September 15-16. We had the opportunity to attend last year’s conference, and we found the conference to be jam packed with presentations addressing S&OP case studies from multiple industry settings, as well as ample opportunities for networking with other S&OP related professionals. You are welcomed to read our summary impressions from last year’s Summit. 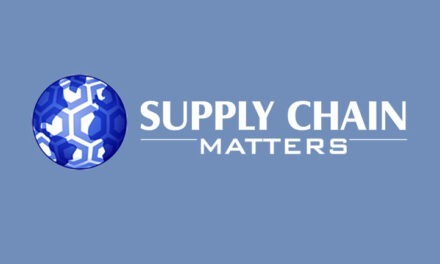 This year, Supply Chain Matters is featured as one of the media sponsors of this year’s conference. Thus far, the conference organizers have lined-up speakers representing Abercrombie & Fitch, ConAgra Foods, Dow Chemical, Elizabeth Arden, Mars, UPS, among others. There is also a quality group of technology sponsors where you can have opportunities to “kick the tires” among software dedicated to supporting S&OP and related planning processes. Supply Chain Matters will also be in attendance at this year’s conference and we look forward to networking among conference attendees and sponsors. Look for our conference commentary shortly after the conference. Further information and an invitation can be found at the following web site. Please note that an early registration discount is in effect until July 31. Last year’s conference was filled to capacity. PreviousPost Japan Earthquake- An Inventory Balancing Act or Superior Response?